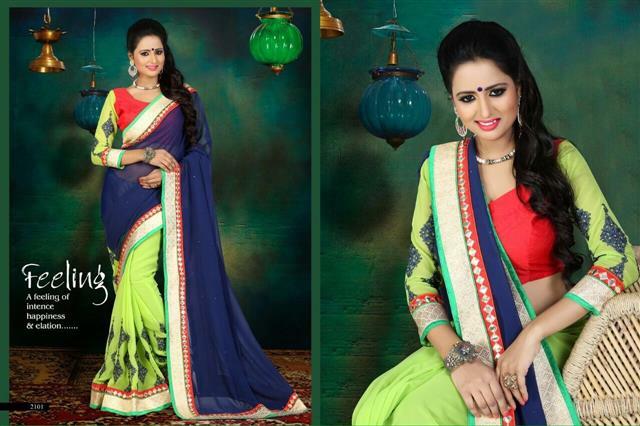 The saree is the most attractive attire for the women’s .The eye-catching light orange and cream Chiffon & Cotton saree. 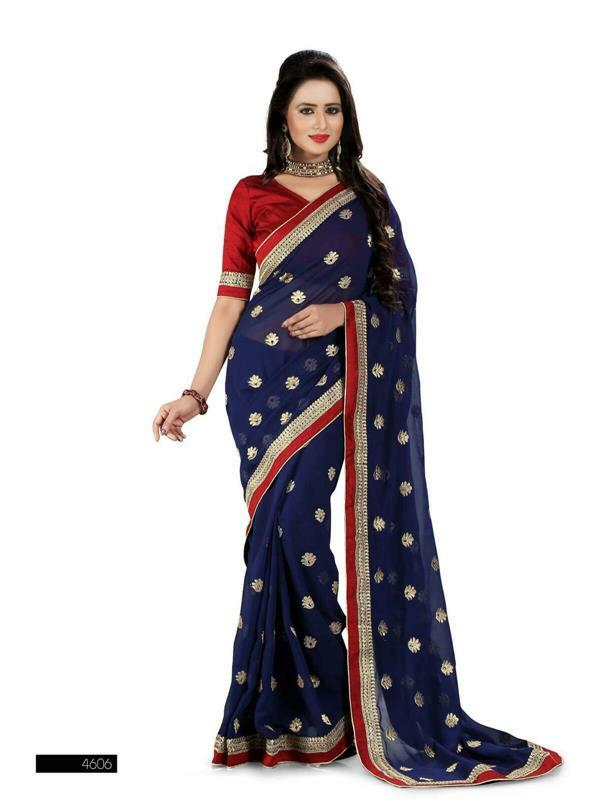 The pleats of the saree is decorated with rich thread work, hand work and beautiful border. 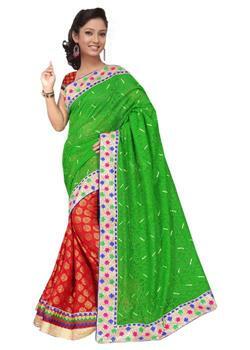 Pallu is the most attractive part of this saree that is enhanced with the contrast plain light green and thread work embroidered border. The contrast black full embroidered blouse comes with it.